This robot uses a unique algorithm to detect market ranges, opportunities buy and sell. Using the Average True Range indicator to detect the market range and use the Larry Williams Percent Range indicator to detect any chance of rising or falling prices. It uses advanced money management system with tight Trailing Stop and other functions. 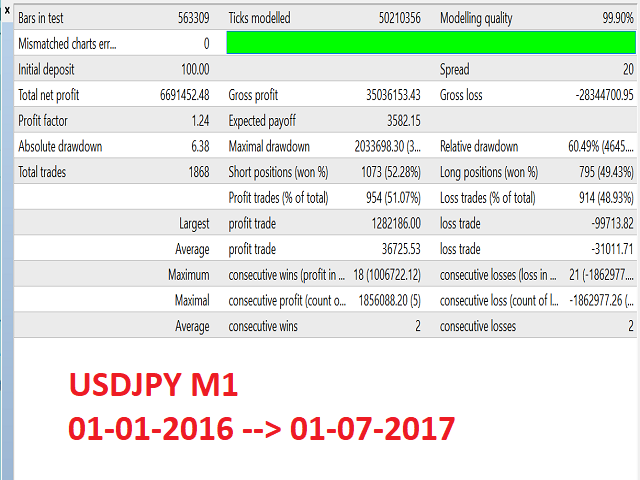 All opportunities recorded and analyzed must be above 70% victory for the reference in opening positions. The Expert Advisor works with Stop loss, The Larry Williams Percent Range indicator, The Average True Range indicator and Trailing Stop. 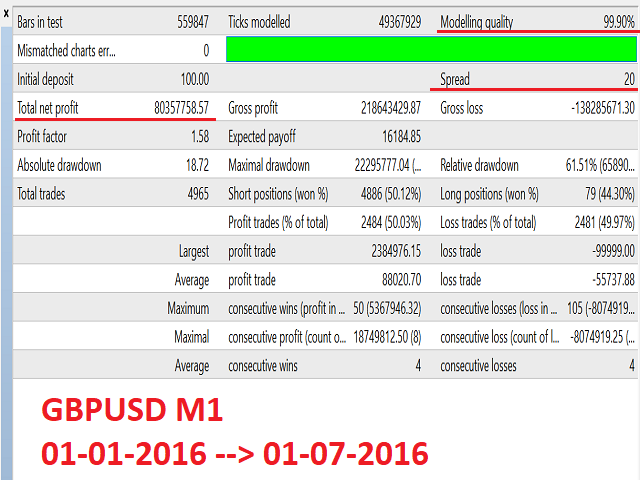 The Expert Advisor is optimized for trading on the GBPUSD and USDJPY pair. The adviser can also work on other currency pairs. 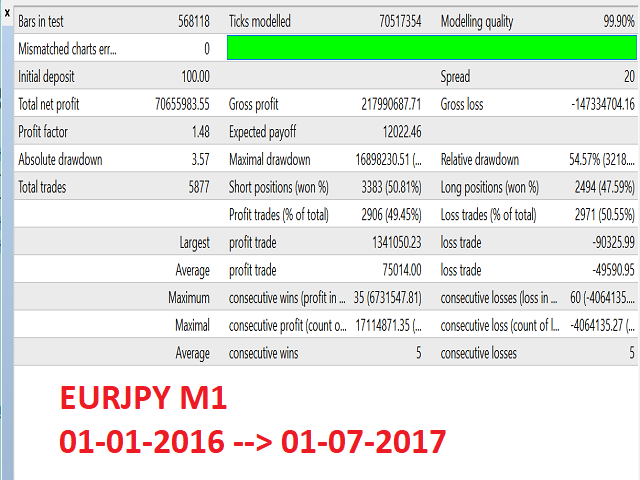 The full version of the Expert Advisor: https://www.mql5.com/en/market/product/24149. Free version limitations: fixed lot of 0.01. TrailingStar - the distance between open price and current price to start trailing. Very good EA. My EA is producing the same results as the vendor.